If you are considering buying, selling, or leasing real estate, you need a lawyer who will provide knowledgeable representation. Residential and commercial real estate transactions involve a significant amount of paperwork, and much of it will include detailed and complex legal terminology. You need to know that your lawyer fully understands the law and will protect your interests, warning you of any potential pitfalls or problems along the way. As lifelong residents of the Springfield area, we know the community and care about our clients. We focus our efforts on providing accessible and professional counsel. We understand that, if you are like most people, a real estate sale or purchase represents the single largest financial transaction of your life. You may feel some anxiety and uncertainty about the magnitude of the deal. We will work hard to provide friendly and knowledgeable legal counsel, so that your stress and anxiety are minimized. Plus, we will work with you at all stages of a residential or commercial real estate transaction, from the negotiation of the terms of the agreement to the closing. Once you have agreed on the terms of the sale/purchase agreement or other real estate contract, we will review and manage all the documents required to successfully complete the deal. In this “conventional” type of real estate transaction, the homeowner owns the home subject to the loan, as we mentioned above. When the homeowner makes their last payment, the mortgage will be satisfied, and the homeowner will own the home “free and clear.” However, there are other ways that real estate transactions can be structured. What does a buyer do when they can’t get a loan or need alternative financing arrangements? Many people who would like to buy real estate may have difficulty qualifying for a traditional loan. Perhaps they have gone through bankruptcy or a foreclosure damaged their credit, but they currently have a steady income source and can afford to make mortgage payments. Luckily, sellers are becoming more flexible regarding how they sell their properties in order to find buyers. If the property is paid off in full, a seller may wish to deed the property to the buyer and then carry the loan, often called a “seller carry-back.” This is basically the same as the “standard” or “conventional” type of real estate transaction described above. If the buyer misses a payment, the seller may foreclose the loan just like a traditional institutional lender. This option may be best for buyers who are making a sizable initial down payment. The major difference between these unconventional real estate transactions and a “conventional” transaction is that, with a conventional transaction, the person who purchased the home does indeed own the home right now. The person is a homeowner; but they own the home subject to a loan they must pay. In a contract for deed or lease-purchase, on the other hand, the person buying the home does not own the home until the last payment (or entire purchase price) has been paid. Then, upon the last payment, they will own the home. A contract for deed is generally equivalent to an installment contract to purchase the property. Traditionally, a general warranty deed from the seller to the buyer is held in escrow at a title company or law firm to be released once the buyer has paid in full. Similarly, a quit claim deed from the buyer fully releasing any interest in the property is held in escrow to be released if the buyer fails to make timely payments. Contracts for deed were very popular for many years, but they were riddled with contract disputes and began to fall out of favor, although this form of transaction is still utilized today. Typically, a contract for deed favors the seller over the buyer. In recent years, lease-purchase agreements have become more popular transaction options. They consist of a standard lease agreement with some portion (or all) of the monthly lease payment being applied to the purchase price if the buyer ultimately follows through with purchasing the property. An option-to-purchase agreement accompanies the transaction, which sets forth the terms for the buyer to purchase the property if they exercise their rights under the option in a timely manner. A lease-purchase agreement is usually the best transaction option for sellers, because it is the easiest way to evict the buyer if they fall behind on payments. It can also benefit buyers if there is not a large down payment and the buyer expects to have better credit in the future to obtain a traditional loan. There are many factors to consider when choosing between these different types of real estate transactions. To decide which option is best for you, you will need to consider the particular circumstances of the transaction and whether you are the buyer or the seller. 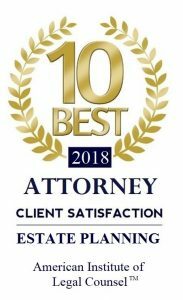 Whether you have questions or need assistance with a conventional real estate transaction or an alternative arrangement, such as a contract for deed or a lease-purchase agreement, please give us a call at 417-882-5858 to schedule a complimentary consultation.